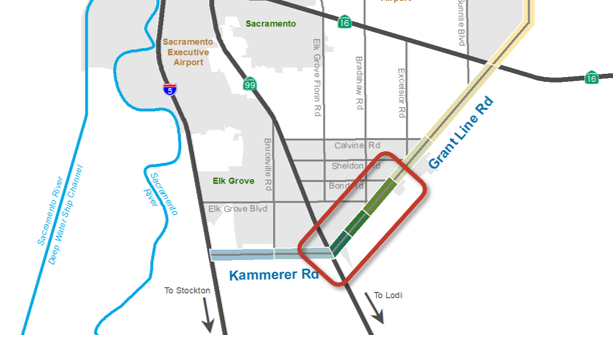 The Connector alignment along Grant Line Road in east Elk Grove is 4.3 miles in length. The Grant Line Road interchange at State Route 99 and Union Pacific Railroad grade separation projects are complete. ​The Connector JPA proposes to reconstruct Grant Line Road between Mosher Road and Bradshaw Road as a four lane thoroughfare with an adjacent Class 1 bike/pedestrian trail on the west/north side of the alignment. The project area needs an all-weather transportation facility to enable normal mobility and emergency vehicle access. Construct an all-weather transportation facility that enables normal mobility and emergency vehicle access.